There are 12 major bio-markers of ageing according to Evans and Rosenberg.1 Bio-markers are some physical characteristics which can be measured that have some relevance to how long we tend to live. These 12 are the main ones. There are other things that have an affect on life and its quality, such as chronic infections that will also play a part but oddly enough it is not one of the 12 main ones. They give us a guide as to what is really worthwhile to work on if we want to live as long as we have the potential to do in a manner of ease, grace and comfort. At some point we are all going to die based on observation. But what none of us want to do is die a slow degenerative death. What we should aspire to is having a life of vigour into old age and then late in life have the life force wane over a few months and then pass over to the here after. If you have subluxations that diminish your muscle activity due to nerves functioning poorly, then, you are going to have some degree of lessening of biomarkers 1 and 2. If you have proper nerve function and hence proper muscle function, then exercise is going to maintain muscle tone or allow you to build it up if muscle mass is less than ideal. Muscle mass is measured by bio-impedance instruments with the aid of computer interpretation. Muscle mass is built up by using the muscles at close to their current maximum potential while providing the body with good quality protein so that the building blocks for muscle is present at the same time. This biomarker is almost interchangeable with Lean body mass, in that they are mutually dependant on one another. You can't have bulky muscles if you don't exercise them and provide the right nutrients to enable muscles to bulk up. Basal Metabolic Rate (BMR) is a measure of how fast you are burning calories from either food or energy stores in fat. The greater the lean muscle mass, the greater the BMR even at rest. Muscle burns energy. Bigger muscles burn more energy. Body fat is a normal tissue. It provides a store of energy and also acts as a thermal insulator. If you have too much fat mass then you acquire many kilometres of blood vessels to service the increased size of the fat cells. This puts an increased load on the heart which eventually can malfunction as a result. Now the higher the BMR due to the increased Lean Body Mass, then the less of an issue the body fat percentage becomes. Body fat percentage is also measured with the bio-impedance instruments and associated computer programming. Fat laid down in the body is now thought to be as a result of consuming too many carbohydrates as well as the possibility of having problems related to insulin resistance or metabolic syndrome. Either way if you are carrying excess fat percentage, then that needs to be removed. You may need the assistance of a good naturopath to help you with this. The Body Fat Distribution is measured by two measures you can do yourself. 1 Waist circumference to hip circumference ratio. For both men and women, this ratio needs to be below 1.0 with a waist circumference of 88 cm for women and 102 cm for men. 2 Body Mass Index, This is a calculation which is the weight in kilograms divided by the height in metres squared. The resulting figure should be for females between 19 and 23 and for males between 22 to 25. If you are outside the normal values, then you need to lose weight and probably also need to build muscle mass and thereby increase the BMR. Then we need Vitamin D3 and calcium and magnesium to add the density that is missing in osteoporosis. Osteoporosis is best checked by referral by your Medical Doctor for specialised testing usually performed in radiography facilities. If you have osteoporosis then a chelated calcium is needed. Check your calcium supplement. If it is calcium carbonate then crush the tablet up and put it on your garden after all it is powdered and recompressed limestone - not very digestible. At present calcium citrate seems to be the best in terms of dollars spent for the calcium absorbed. An added benefit is any kidney stones that are present seem to dissolve away. All of this needs to be on goingly monitored by your health practitioner. Good bone health requires a dense matrix as well as mineral density. Good bone health reduces the risk of injury due to fall as a result of fractures. Falls as a result of fractures are a big issue for not only injury but also early mortality. Bone health should be taken seriously. Too high or too low a blood pressure will adversely affect your health and hence speed you ageing. With both high and low blood pressure, always check to see if you are dehydrated. See Water for how to do this and be sure to consult the chart for how much water you need to be consuming with the added sea salt to assist with water absorption and reduction of osmotic pressure to lose minerals out of the body as a result of altering water and mineral concentrations. Sometimes blood pressure issues can relate to the upper cervical region being subluxated. 4 If you have blood pressure issues and upper cervical issues, bring these to your chiropractor's attention so that the subluxations can be adjusted and the blood pressure monitored. The lower the resting pulse rate, generally indicates that the heart and circulation is in a good state. It indicates that aerobic exercise is or has been a feature of lifestyle choices. It indicates that there is ample reserve to perform work on demand. This is true only if the blood pressure is in the normal range. If the blood pressure is elevated, it would indicate that the heart is being regulated by the nervous system to compensate for the elevation. In the absence of overt disease, lower pulse rates equate with fitness. This is a measure of the amount of oxygen that can be utilised by the body. Oxygen is available in the air. We could breathe it in but how well can we utilise it. The more you exercise to the point of panting, the greater the demand and the greater the response of the tissues. The greater the aerobic capacity, the greater the ability to "do work" and enjoy life. Essentially you have to get out in the fresh air and get some exercise that makes you get puffed. Aerobic capacity may also have something to do with the status of vitamin C in the body. 5 In this study people with obstructive sleep apnoea performed at normal levels after infusion of 0.5 grams of vitamin C.
By rights, the French population should be decimated by cardiovascular disease based on their eating patterns. Their saving grace has been the polyphenols present in red wine which seems to have an "antioxidant protection of human low-density lipoprotein (LDL)" LDL being the bad guy cholesterol. Our bodies need to be able to regulate our body's internal temperature within a relatively small band. If your can't regulate your temperature, then we malfunction and if more extreme, we may die. The nervous system is central to the control of temperature. The hypothalamus (part of the brainstem structures) keeps our body temperature within limits. If we are hot we will perspire and the evaporation of body surface moisture cools the body. Conversely if we are too cold, we alter blood flow to maintain vital organs and sacrifice peripheral structures progressively from outer structures (fingers and toes) towards central nervous system and internal organs. The upper regions of the neck can influence the hypothalamus and hence the temperature regulation mechanisms. Though there is little in the way of controlled trials regarding help in temperature regulation, chiropractic has a long clinical history with assisting with this problem. So traditionally, chiropractors would attempt to keep the cervical spine as subluxation free as possible. greater kyphosis were at increased risk for earlier death by 15%." A common finding in chiropractic and my own experience is that regions where kyphosis is present tends to set up mechanical changes in the alignment of the spine (subluxation) as well as the nearby ribs. This region may or may not have symptoms, but you may want to consider having a chiropractic spinal check up, similar to a dental check-up, simply to see if the spinal alignment is as good as it can and possibly should be. 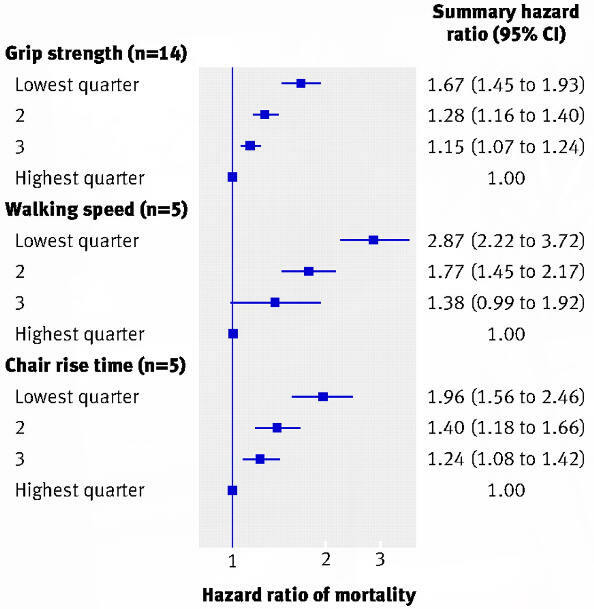 "each standard deviation (SD) increase in kyphosis carried a 14% increased risk for death." In other words, the worse the forward angulation of the spine (kyphosis), the greater the likelihood of death sooner than otherwise expected. There seems to be ample incentive here for regular and frequent spinal checkups. No amount of studies will be needed to logic that one out. To comprehend the following measures that are reported in terms of hazard ratio (HR), one must understand what the HR means. A measure of how often a particular event happens in one group compared to how often it happens in another group, over time. In cancer research, hazard ratios are often used in clinical trials to measure survival at any point in time in a group of patients who have been given a specific treatment compared to a control group given another treatment or a placebo. A hazard ratio of one means that there is no difference in survival between two groups being compared. A hazard ratio of greater than one or less than one means that survival was better in one of the groups. You just need to be certain on which group you are considering. Broadly equivalent to relative risk (RR); useful when the risk is not constant with respect to time. It uses information collected at different times. The term is typically used in the context of survival over time. If the HR is 0.5 then the relative risk of dying in one group is half the risk of dying in the other group. This relates to Biomarkers above namely Lean Body Mass and Muscle strength both of which require a properly functioning nervous system to be at their peak potential. This relates to Biomarkers above namely Aerobic Capacity, Muscle strength and balance all of which require a properly functioning nervous system to be at their peak potential. This relates to Biomarkers above namely Muscle strength, balance and being pain free enough to perform this daily function with ease. Pain free here means no subluxations and no osteoarthritis or joint degeneration both in the spinal joints and those of the hips, knees, ankles and feet. All of which require a properly functioning interference free nervous system to be performed at their peak potential. Now this one is really interesting with variation in ability to balance in a tandem stance (one foot in front of the other) as opposed to side by side for a "normal" stance. Here more than anything else we are dealing with the ability of the cerebellum to control posture as well as sense position. There is always a component of balance (vestibular function) involved with any attempt at an upright stance. Balance also must have function otherwise even a side by side foot stance would not be possible. Balance gives us the ability to maintain an upright posture. Failing and a failure of balance makes it more likely to sustain falls. Falls make it possible to sustain injuries. These include fractures, cuts and blood loss sometimes leading to death directly. Some injuries such as head injuries can be fatal at the time of the event. Other injuries such as hip fractures in the elderly often lead to death within 18 months when viewed statistically. "Falls account for 40% of all injury deaths."...." Rates of fatal falls exceed that of women for all age groups in spite of fewer occurrences among them." It has been reported that ageing is related to the increased incidence of falls. In my opinion, this is incorrect. I think it is the faulty function of the nervous system which is the main culprit - not age as such. Some malfunction may be from strokes, some may be from spinal subluxations and some is from disuse because we think we are beyond playing the games that helped us develop physical capabilities in the first place. 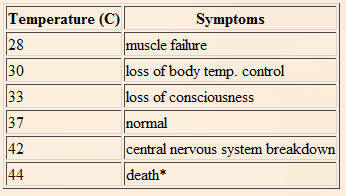 All Nervous system disability can be helped to some extent by therapy of some appropriate sort. Functional neurological programs have been shown to be of major benefit to patients even with what were considered to be beyond the time of maximum physiological improvement. Should you need that type of care, a referral can be arranged for you. 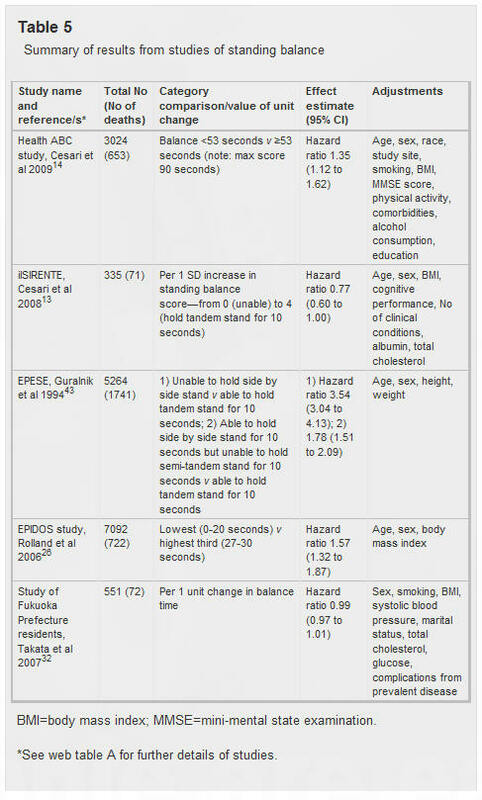 For poor balance ability, a regime of directed as well as general exercise programs have been shown to be of benefit. 15 The bottom line here is that the patient must be involved in their own care and improvement. No involvement leads to no possible change. The exercises need not be difficult or involved. But initially at least, it may be advisable to have someone be with you while you do the exercises to help prevent injury in case of a fall. So balance is important to staying alive and well and enjoying ourselves. Balance can be improved by targeted exercises such as Cross Crawl (especially if done slowly), standing on one leg as well as more specialised eye exercises and slow turns while standing or sitting on a swivel chair. The eye exercises and the turns need to be tested for otherwise you may be enhancing the contrast between the mechanisms that are working and those that are not rather than reducing that contrast by building up the nerve controls of the weak side. It should be noted that some medications (drugs) have vertigo as some of their co-effects (side effects). These can easily be checked for by searching the internet. If the medication you are taking has vertigo as a side effect, then this needs to be discussed with the medical practitioner who prescribed it or a pharmacist who could discuss the matter with your medical doctor and make recommendations for a change of prescription if that is necessary. The main message here in my opinion is that the really main biomarkers of ageing as well as the other studies that have some association with our mortality such as kyphosis, grip strength, walking speed, chair rising and standing balance are in some way all dependant on a properly functioning nervous system which in turn is dependant on a properly functioning spine. I have yet to come across a spine and nervous system that did not benefit from some chiropractic adjustments. The physical examination I put most new patients through routinely measures muscle strength, balance, spinal function and nervous system functions. X-rays that are often necessary to be ordered will also show us the degree of kyphosis of the spine if it is present. I have yet to see a patient who has not had some improvement in some of the physical signs that have shown up faulty on that initial examination after a short course of adjustments. Is it worth the effort and the expense of chiropractic care? Only you can say what a properly functioning body is worth to you. In my opinion it is. A physical examination will soon determine if you are a candidate for chiropractic care, specialised functional neurology intervention or medical attention. The appropriate care will be recommended based on the findings of the physical examination.